Limassol is the second largest town in Cyprus with a population of over 180.000 in its urban area and 240.00 in its entire district. Although second in terms of population size it comfortably tops the list when it comes to economic activity, being host to many large business groups, both local and foreign and boasting a long and solid tradition in industry, trade, tourism and land development. Home to the country’s largest port, both for cargo and passengers and the seat of the newly established Shipping Deputy Ministry, Limassol is the heart of Cyprus’ shipping sector, while it also houses several companies operating in the financial sector, including forex giants. 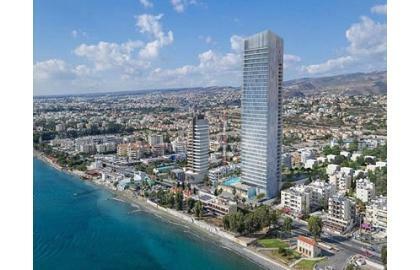 Moreover, the future prospects of Limassol are more than promising since it has recently seen the opening of the island’s largest marina, the first casino in Cyprus and expects to see the biggest casino resort in the whole Mediterranean region open its gates in the next couple of years. Furthermore, it attracts a lot of foreign investment in the form of new land development and the construction of high rising buildings offering expensive and exquisite properties for sale. Besides a vibrant local community, Limassol is also the seat of Cyprus’ Technology University as well as many private higher education institutions that draw flocks of local and foreign students to the town. Moreover, it boasts a large and very active Russian speaking community that has established itself in all fields of economic and social activity. What is more, as a prime tourist destination it attracts nearly 1 million of tourists each year, who enjoy its natural beauties, the sea, good weather, splendid food and abundance of cultural activities. In a nutshell, if you own a business operating in and from the Limassol area then you have it all going for you, because your growth prospects are great with so many potential customers and profits to be had right in your niche market. Reaching this great client base though and becoming visible to them, requires that you first set up an online presence for your company and then effectively engage in localized Limassol SEO. Through Limassol Search Engine Optimization you can send out your messages to those clients that interest you the most, i.e. those living in your vicinity who are more likely to become purchasing customers for the products or services you are offering. This focused and targeted approach, aiming at the people you can really cater to, is an absolutely amazing method to increase your traffic, sales and profits in a manner that is strategically planned and avoids you the trouble and expense of having to compete with multinationals for landing good Google placement on a larger scale. By focusing on your own local Limassol market, you will have better results, in less time and most importantly in a cost effective manner. So, why choose start-business-online and the Netresort team for your Limassol SEO needs? Well, for starts we are local too, since Limassol is our own home town as well! This gives us the added benefit of having valuable, first-hand, insights and experience on the Limassol local market and Limassol consumers and customers. Moreover, all our team members are seasoned professionals with years of experience in their respective fields and with proven track records of success in achieving to obtain top rankings in search engines for multiple geo-targeted locations for businesses from across the entire spectrum of economic activity. Through highly targeted keyword conversion and other localized SEO methods, we can swiftly and tangibly help you increase your company’s visibility online, opening up new horizons and bringing about new opportunities, new customers and new profit potential. Making an investment in Limassol Search Engine Optimization though the right professional partner to undertake the task, is surely worth your while and holds great potential and a considerable return on investment to be had. Limassol is a modern, expanding and vibrant city, with superb infrastructure especially in terms of availability of broadband internet connections, and the majority of its population are technologically savvy, heavy internet users and very active on social media, while an increasing number uses smartphones are other mobile devices to go online on the go. This means that every Limassol based company stands a lot to gain from implementing Limassol SEO methods as these, when planned and executed properly by real experts, will definitely result in massively increased numbers of website traffic and converted customers. To find out how your own Limassol based company can be taken to the next level through localized SEO, contact us today for a no-obligation consultation.